I’ve known for ages that there are people traveling across continents using nothing but a bicycle. It always sounded surreal to me. I never used a bicycle for more than fun when I was a kid and a little bit commuting later in life. No tour has ever been longer than 40 km. To think that there are people racking up 10.000, 20.000, 40.000 km on a bicycle was absolute madness to me. On my first long trip back in 2013 I met two cycle tourers in a guesthouse in Sukothai, Thailand. One of them has ridden there all the way from Belgium, another one named Eric started from Bangkok. I followed his journey by Facebook and about one year later he made it all the way to South America. Unbelievably impressive to me, but still not something I considered. But as time passed and I read more blogs of cycle tourers, while at the same time having an ever growing desire to beat down my budget, I began to think more about it. Yuily only reinforced that idea as she suggested traveling around Taiwan by bicycle sometime. The desire to do it became stronger and stronger, and now we are thinking, why only Taiwan? If we enjoy it here we will enjoy it elsewhere, too! 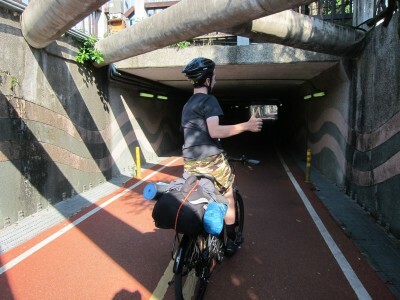 Taiwan has several advantages to be a great place for biking. 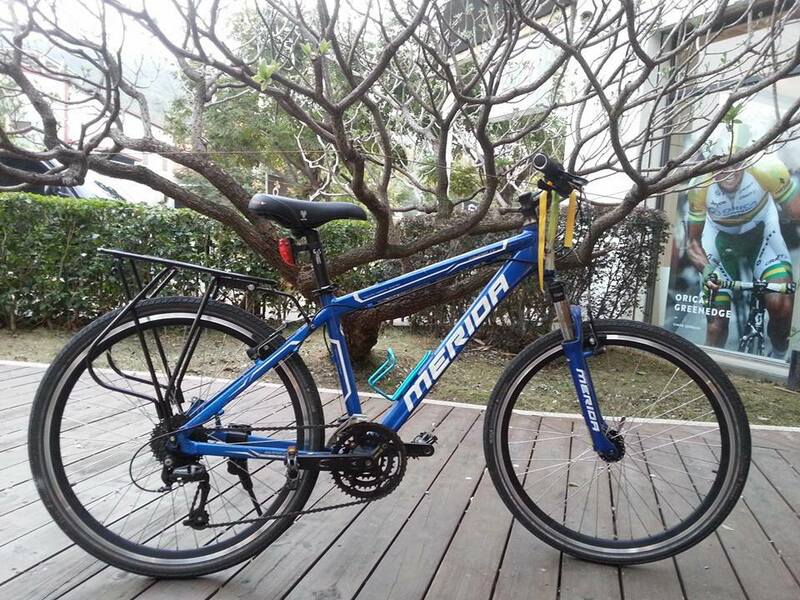 It’s a bicycle manufacturing powerhouse, with several factories producing quality bicycles in all price ranges. Even the worlds biggest bicycle maker, GIANT, is a Taiwanese company. In addition to this, several European and American manufacturers contract Taiwanese factories to make their frames. A quick check reveals that bikes are several magnitudes cheaper here than in Europe. It was a perfect place for us to get started and keep things in budget. We got in contact to the great guys at 185 Warehouse in Taichung, which is the factory shop for Generation2Cycles, short G2C, a bicycle manufacturer that also produces Scott and Cannondale frames, which are regarded high quality around the world. 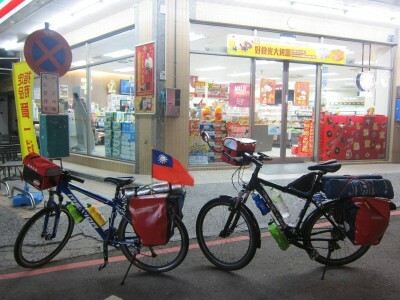 When I asked them for a touring bicycle, they brought me the “Taiwan Taichong Mission”. I saw that it ticked off several things a touring bicycle should have: Hand-built 26-inch 36-spoke wheels, wide slick tires, a sturdy heavy duty rack and multiple bottle cage mounts. I ordered it with a few customizations. For our equipment, since my mother was visiting us on Christmas, I ordered Ortlieb panniers and Ideale handlebar bags from Germany. The Ortlieb brand is widely considered the best in the cycle touring world and people have been recommending us not to save on panniers. For the handlebar bag I decided to save a little, purchasing a cheaper brand that got good reviews. The rest of our equipment (tent, sleeping bags, most of the clothing) came from Decathlon – it’s the perfect place for cheap but good quality outdoor gear. All together around €300. 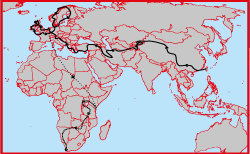 Ultimately our goal was to cycle as our main method of traveling, around the world. But first we had to shake things town a bit. 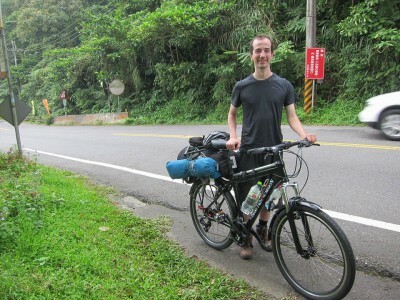 We live in one of the most perfect countries for cycling, so why not start by doing a tour around Taiwan? It would be a great place to test everything, not just our gear, but also our minds and bodies. Were we ready for traveling like this? 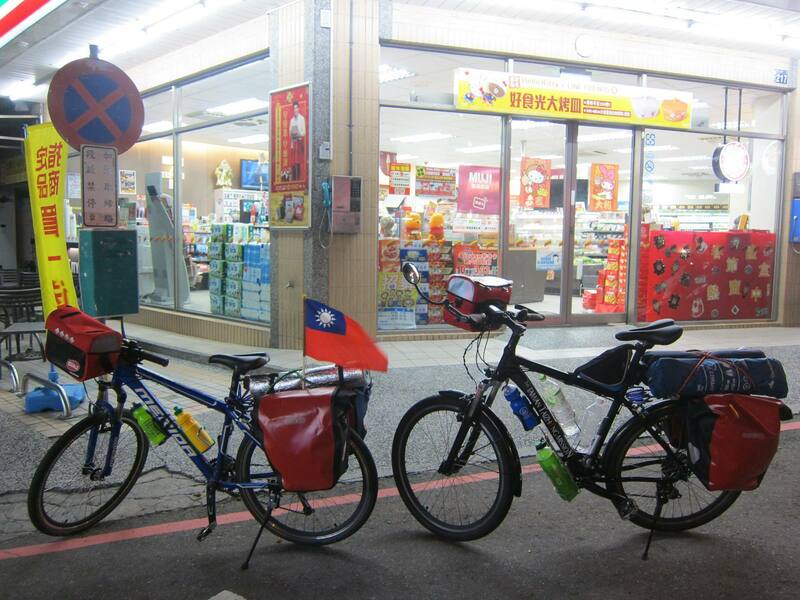 Since cycle touring in Taiwan is regarded as easy compared to most of the world, we introduced two more challenges to our trip around Taiwan, that wouldn’t apply for subsequent trips. Cycle every little bit, take no public transport. Going back and forth using other means during a rest day is fine, but we mustn’t load our bikes on any other transport, like a train or a truck. Don’t pay for accommodation. Wild camp, couchsurf and stay in friends places only, no hotels, hostels or guesthouses. Wild camping is legal in Taiwan, making this very possible. These goals may be broken in emergencies of course. They would immensely help to keep our budget down. After the trip around Taiwan, we would do additions and removals on our gear as our experience told us, before setting off to Mainland China and ultimately cycling west. We planned three years of traveling, but this is all flexible and subject to change. Also because conservative calculations require us to work again to earn further funds after around two years. Stay with us for a detailed journal of our trip around Taiwan! Start here!